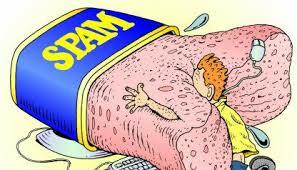 Hosted email and/or spam filtering? So, I’ve been using the same web hosting provider for about 10 years and love the service and people… the one thing I am not digging is the tools available for spam filtering … Long story short – I’m in the market for a spam filtering provider to point my MX Record to, or even a new email hosting provider all together. The current solution offered is not all that configurable, and is honestly a bit outdated technology – it is essentially the Maginot Line of my Anti-Spam fortifications. If anyone has a good suggestion please let me know down below in the comments. My high level requirements would be a service for 5 – 10 user accounts/addresses, account level and user level spam fine tuning controls, if a complete hosted solution shared calendars, lists and contacts, etc. This is for my personal and family account(s) so bells and whistles while they may be nice, are not really necessary. 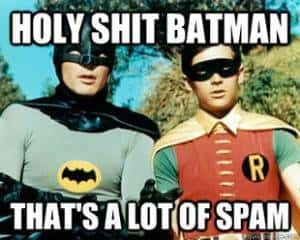 Does he have a spam filter in that utility belt of his? I may did end up going the Google Apps route, but I’d prefer to not go there if I don’t have to… meh. how to merge accounts from my old personal gmail.com – things like Google+, Picassa/Photos, gmail itself etc. This entry was posted in Computing, Security, Technology and tagged email, hosting providers, security, software, spam.